It’s a series of fast, undulating switchbacks, and the Michelin Pilot Speed Sport tyres are ripping and tearing at the bitumen as the overweight German sports coupe fights for grip – just before the software takes over, to try and avert the idiot driver sliding sideways, at ‘silly’ speed, into the scenery. Later at slightly lower speed, but no less insane, the AMG GT-S follows the driver’s guiding hands expertly, turning in precisely, and rumbling and grumbling on the exits, endorsing the fact that this car is beautifully designed-for-purpose. Except for that bloody AMG steering wheel - I detest this design. 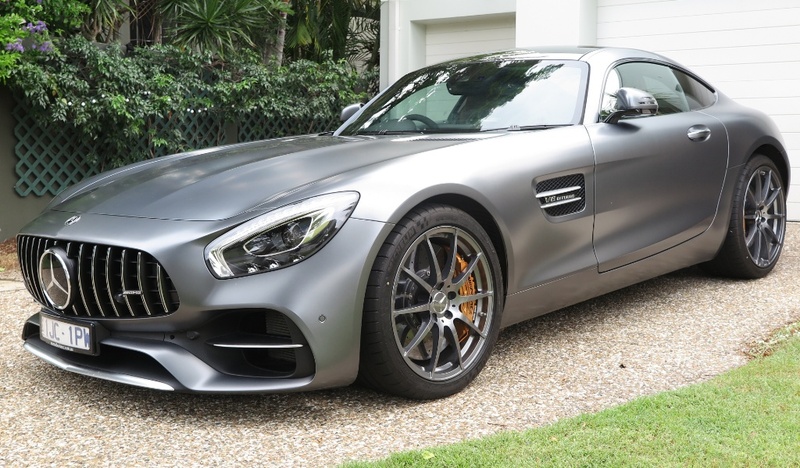 But, let’s face it, at near AUD$300,000, the AMG GT-S coupe is a car designed by German engineers, intended for German autobahnen, at German speeds – nothing less. 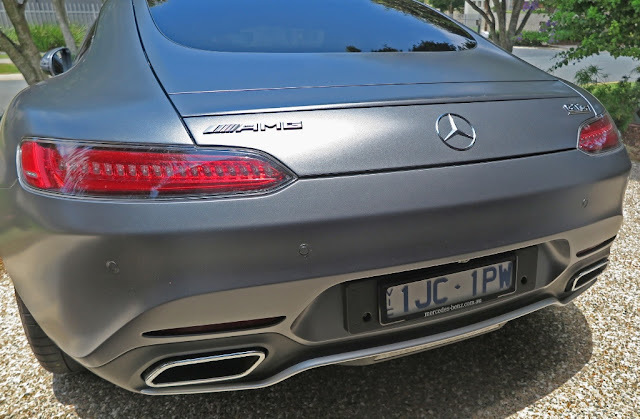 For the rest of the world, this car will be acquired not because of its incredibly precise handling, and gargantuan performance, but because owning it endows the buyer with some sort of invisible halo of respect – for how much money they have, nothing more. 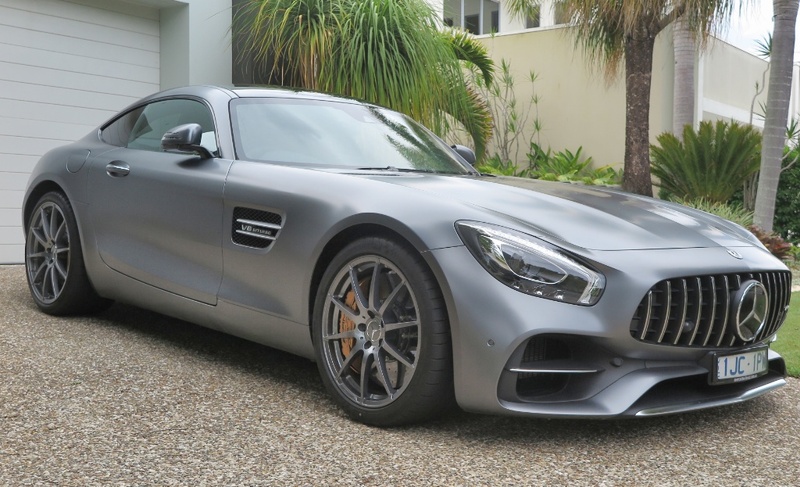 Bought for its intended purpose the AMG GT-S is perfect, and believe it or not, value-for-money (sort of). Acquired for its pose value, I’m sure it will also fit the bill nicely. For me though, an aficionado of British marques, my first choices would be either a new Aston Martin V8 Vantage; or a Jaguar F-type coupe with its sublimely-sophisticated supercharged V6. Those cars would also lessen the drain on my wallet – that is, right after my lottery win. 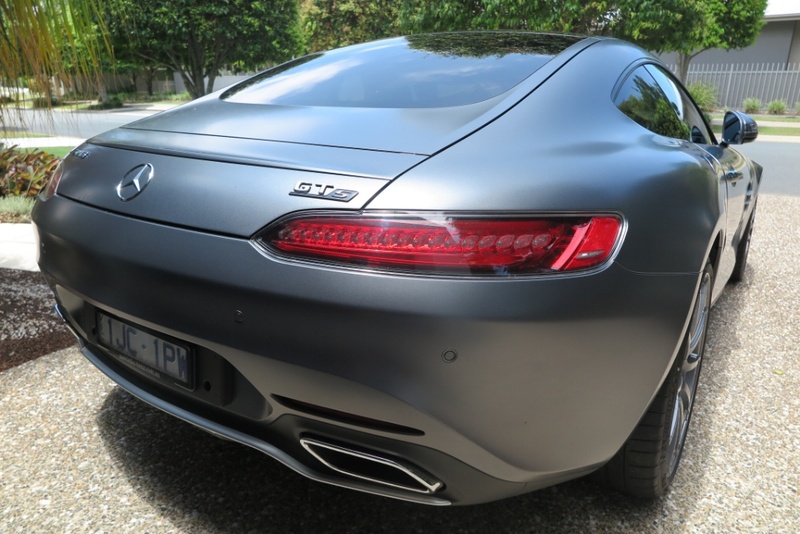 In particular the new AM V8, using a version of this AMG-fettled V8. As someone who has enjoyed the exquisite good fortune to drive some of the fastest, most exotic and exciting cars available in my lifetime, I remain much more satisfied living inside the tastefully-crafted British coupes. It’s just a matter of personal aesthetic appeal. The AMG GT-S certainly impressed my neighbours as it dozed on my drive, between bouts of anger, and I’m sure every time a supercar is parked under the palm trees, my ego stocks go up a tad. That’s enough. It was great while it lasted, but I was happy to give it back.